Now that I have the jacket and have spend some time going over it and messing with it, I can definitely tell you the overall of this jacket is that it is very well made, super light weight, and the Gore-Tex definitely is “waterproof”, as you would expect. The Beta LT Hybrid is a super light and compact weather resistant shell. The main shell is built from Gore-Tex Paclite and the heavy wear areas are built with 3 layer Gore-Tex tricot for some added durability. The pocket zippers are watertight, not waterproof, this is important… basically they may leak under harsh conditions, so, probably don’t put your phone in the shell pocket, unless you’re out of places to put it. The main jacket zipper is also a watertight zipper, and should keep most water out, unless you’re in some torrential rain and wind, but then, the Beta LT is probably not the right gear. Another nice touch, is that the zippers also have pull strings attached, this helps out a lot if you’re wearing gloves or not looking down at the zipper. All of the seams on the jacket are welded and taped for added durability and weather resistance. Overall, this jacket is constructed pretty darn well, as you would expect for the Arc’teryx and Gore-Tex names and prices. Getting into the numbers, the Medium jacket I ordered fits me quite well, for reference, I’m 170 lbs, 5’8″ tall with a 43″ chest, and a 32″ waist. The length is spot on for where I like my jackets (a little on the shorter side), and the fit is what I would call “active”. It contours the body well but is roomie enough to wear over just a shirt, or a base layer and a mid layer synthetic jacket. It starts getting a little tight in the chest with all of that stuff under it, but it works. I tried the larger size, it fit a little better with the layers, but the arms and mid section were way to large and had a ton of material bunched up. So I opted to size down a little, because I know I wouldn’t wear the thing if it was too baggy. So if you like a ton of extra room, I’d recommend sizing up, especially if you are on the top of the sizing chart. On my scale, the medium weights in at about 13.2 oz about 0.2 oz under the listed weight on Arc’teryx’s website. So I’ll sum that up to a rounding error on my scale. As for packing, the shell can be crunched up pretty much as small as you can make it… it compresses easily and takes up almost no space. It’s easily one of the most “packable” jackets/shells I’ve ever owned. Perfect for sticking in the backpack or travel bag for that just-in-case bad weather. Oh, and the Beta LT Hybrid has pit zips. Something that I am a big fan of for shells and outer layers that I plan on doing anything athletic in. I run real hot, so they help manage heat well. 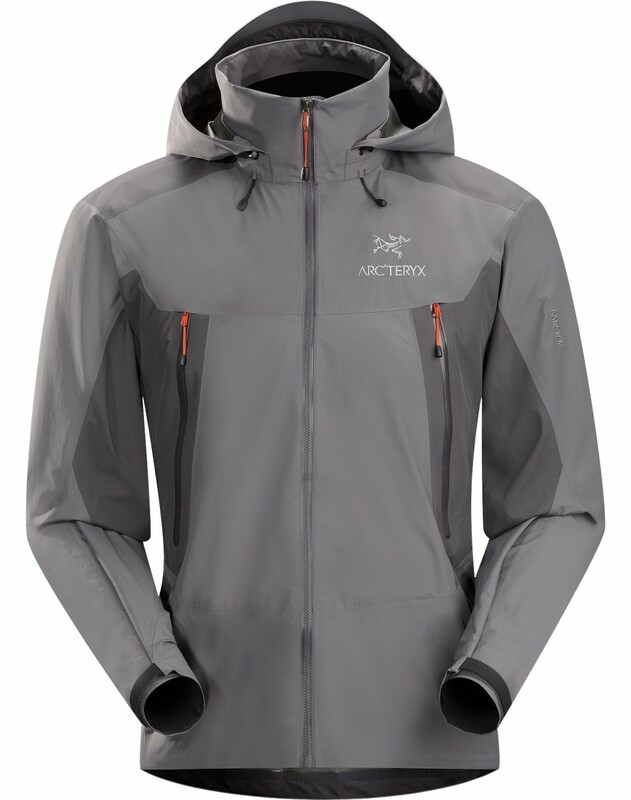 The bottom line with this jacket, and thus far everything I’ve purchased from Arc’teryx, is that it’s pretty darn nice. It works well for what it’s indented for, and is comfortable and well made. What it’s not is low cost, or highly durable. I wouldn’t use it to take to the construction site every day, but that’s just me… You may be fine doing that, but I prefer lower cost nylon garments for that type of thing. But for travel, hiking, backpacking, or just using around town, the Beta LT Hybrid excels. I don’t think you could be disappointed with the purchase of this jacket, just know what it is, and what it isn’t, and try and find it on sale if you can. If you’re interested, you can get one here, http://amzn.to/2b4SaP2. You can also find them on sale at places like REI and Backcountry.